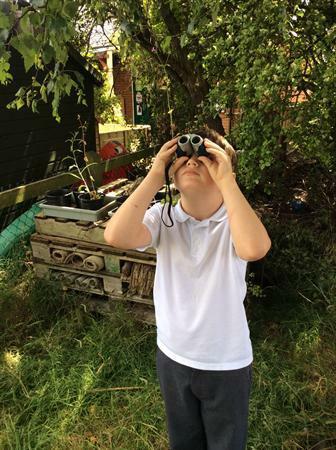 Today the RSPB visited the Year 1 children to show them what the RSPB does to help protect birds and other animals and their habitats. 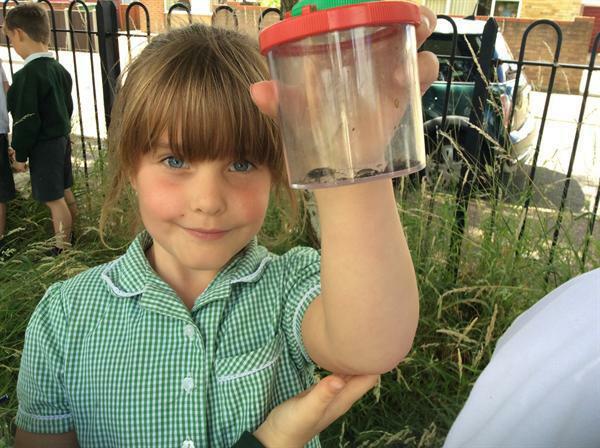 The children were shown how to handle small creatures carefully and gently. 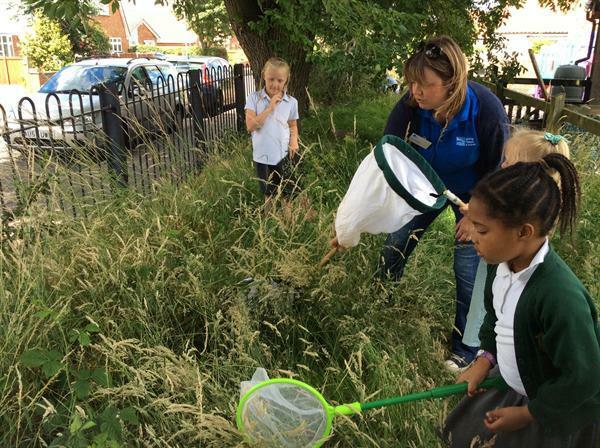 The children went on a wildlife hunt in the school grounds. 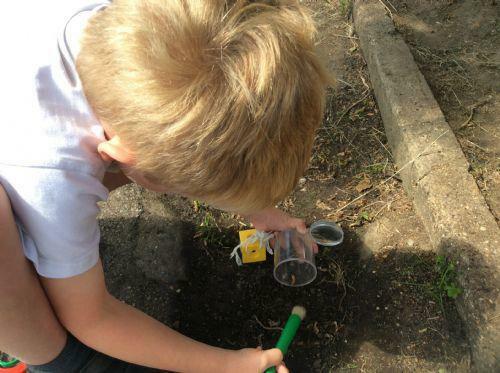 They used binoculars and magnifying glasses safely, and used soft paint brushes to gently scoop up tiny creatures into an observation pot. 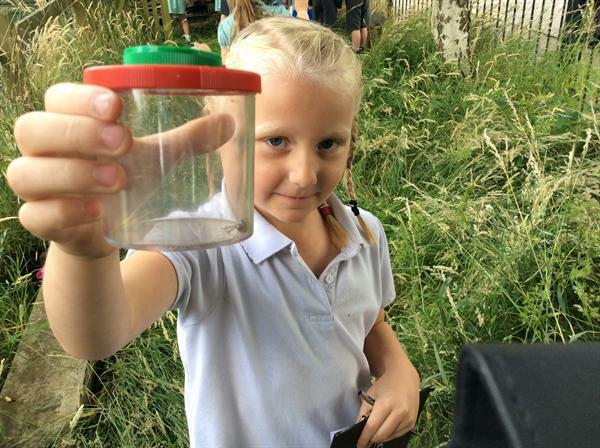 A rare find in the wild area was the female stag beetle. 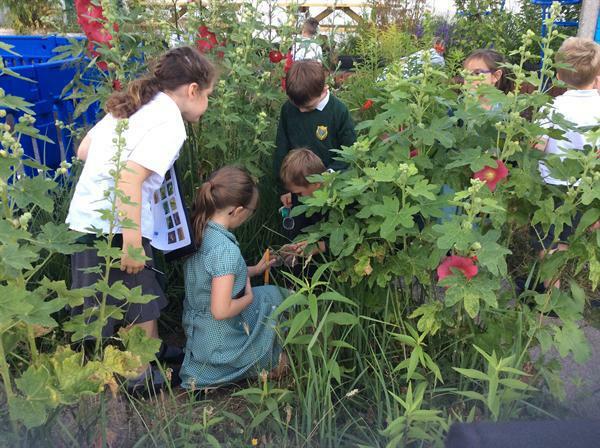 Finally the children moved on the playground in the same way as their chosen favourite small creature.